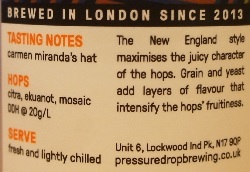 Brewer Description: (from can) The New England style maximises the juicy character of the hops. Grain and yeast add layers of flavour that intensify the hops’ fruitiness. 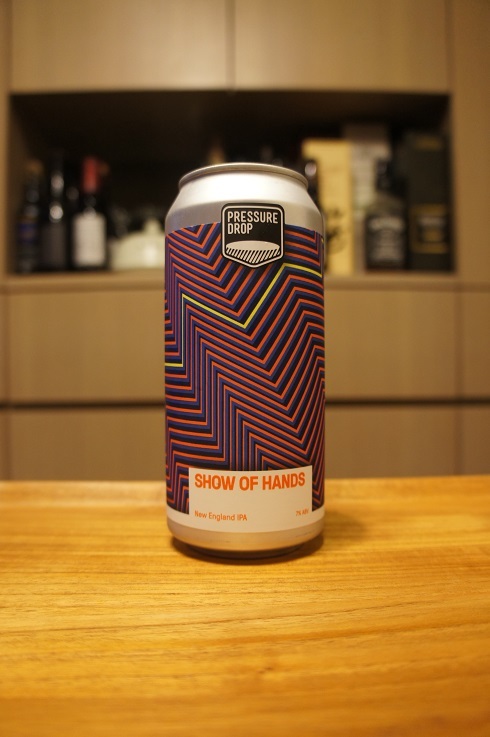 Intro: A 440ml can, packaged on 12th November 2018 and with a best before date of 12th March 2019. Poured into a Lost Abbey teku glass. Appearance: A hazy golden yellow colour with a just under two finger white head that had decent retention and left lots of nice lacing. Aroma: Citrusy mandarin, mandarin rind, orange zest with hints of mango and peach. Taste: Bitter, orange zest, citrus rind and peel with a touch of mango. 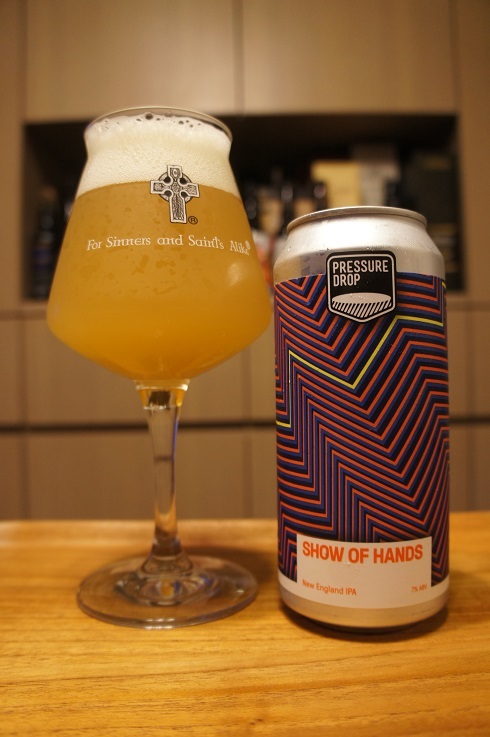 Overall: Aroma is nice, and while taste is not bad and has some fruitiness to it, it is largely bitter, and probably too bitter for a NEIPA.